When my husband and I got engaged, my mother in-law gave me a truly wonderful gift. 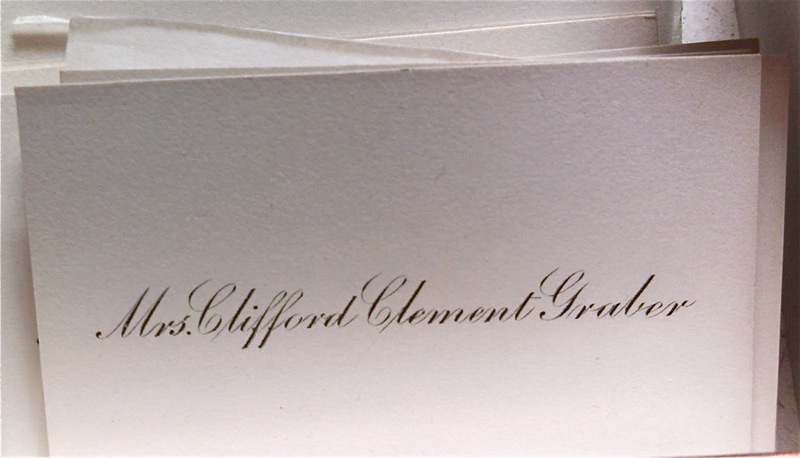 As my husband was named after his grandfather, Clifford Clement Graber, my mother in law gave me the remaining calling cards from his grandmother, the original Mrs. Clifford Clement Graber, along with the engraving copperplate used to engrave the the cards. Not exactly usable in this day and age of business cards, but a gift I have cherished over the years. To me, it is a real treasure. An engagement gift from my mother in-law, Betty Graber. I am always happy to see my Country Living magazine arrive. I enjoy most, the sections on collecting and what different antiques and collectibles are worth. In February the article on collecting is on shallow trays used to collect calling cards. I had been wanting to share this for a while now, and thought today is the perfect day. 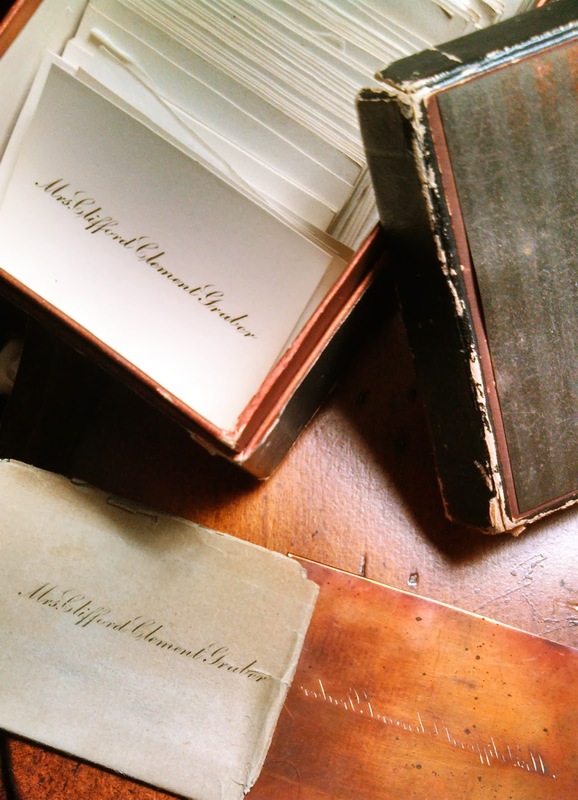 Calling cards were used by people from the Regency, Victorian and Edwardian eras, and quite possibly long before that, but they were especially popular at the height of the Victorian era. These trays, or tazas, could be quite elaborate and pretty. Being a product of the generation I am, the only calling cards I was familiar with were business cards. I remember my first business cards. They were for my first boutique. Someone gifted me a black and gold-toned business card holder. I was thrilled. I felt rather important with my business cards, and carried them with me always, pleased to hand them out to new acquaintances and potential customers. I had heard about calling cards, but was not really familiar with how they were used and their importance in social life just 50 to 60 years earlier. My husband when he was about 12 years old, along with his sister and parents, on the boat named after his paternal grandmother, Georgia Belle. 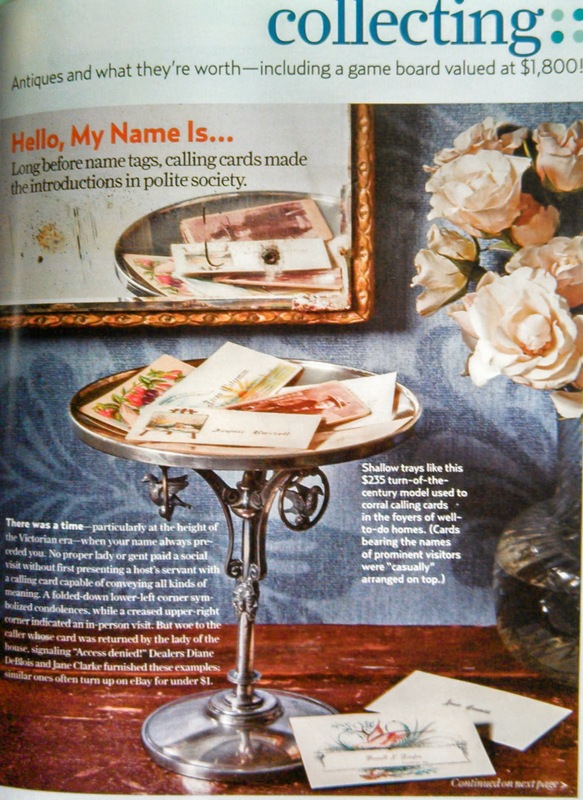 From Country Living magazine's article, I learned about austere calling cards. 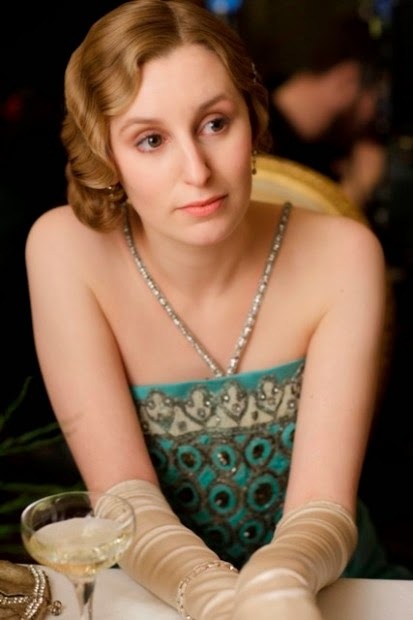 That "true upper-crusters (think Downton Abbey) engraved their cards with nothing more than a name." From what I've heard of her, Georgia Belle Graber would have probably been shocked to find that she was considered an "upper cruster" due the simplicity of her calling card. According to my mother in-law, Betty Graber, Georgia Belle Graber was a "homebody" who could never be confused with the Granthams of Downton Abbey. Country Living magazine writes that no proper lady or gent paid a social visit without first presenting a host servant with a calling card capable of conveying all kinds of meaning. When writing this blog post, I called my mother-in-law, Betty Graber, to find out what her calling cards were like. She told me of the two times she had acquired them. The first, was upon graduating from high school. "It seems really stupid, but I didn't like my name. I ordered them to read 'Betty Lee,' when they should have read 'Mary Elizabeth.'" I assured Betty that I understood. Most teens don't like their names. Betty's second box of cards read "Mrs. Robert D. Graber" and she received them from her mother at her bridal shower when she was marrying my father in-law, the man my 22 year old son was named after. "I can remember the ladies arriving for the shower, dropping their cards into a gold dish sitting on a small table, as they entered our house. My mother normally had a pretty, china plate sitting there for cards, or a small white dish. This one was gold. It was special for the occasion. I don't remember what it was made of... It could have been gold-plated. I don't know. But it had a texture to it and I can still see it now." As she told me all of this, it was as if the shower had just been yesterday. My mother in-law is 97 years young, and as "sharp as a tack," as my father always says. is impossible for them to do so themselves. the wife or any of the daughters. nothing should be written on it. 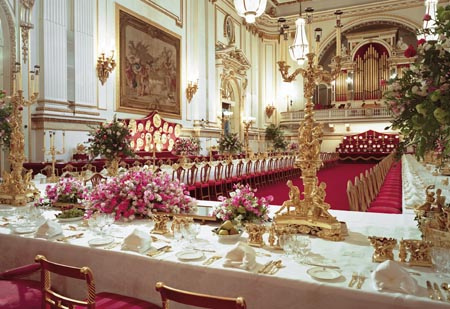 may be announced upon entering the drawing-room. on his calling card in place of an invitation. For more on the rules of calling cards, check out this post on the Etiquipedia Blog. Having run my own business since 1984, I really have had no use for the calling cards my mother in-law so graciously gave me. Still I treasure them. They are eternally linked to a romantic notion of the past, as well as my husband and his family. Like all good things, calling cards could have either died out, or adapted as time marched on. Reluctant to die out in the modern age, the old fashioned calling cards evolved into business cards. Regardless of my 26 year old daughter announcing very matter matter-of-factly to me that "No one uses business cards anymore." I am glad to know people do. Case in point? My nephew’s girlfriend, Amanda Nguyen. Last July, at my niece's engagement party, Amanda and I got to talking about blogging. I asked her if she had a business card. She quickly pulled a card from her purse and handed it to me. I was impressed. And at the same time a bit intimidated. 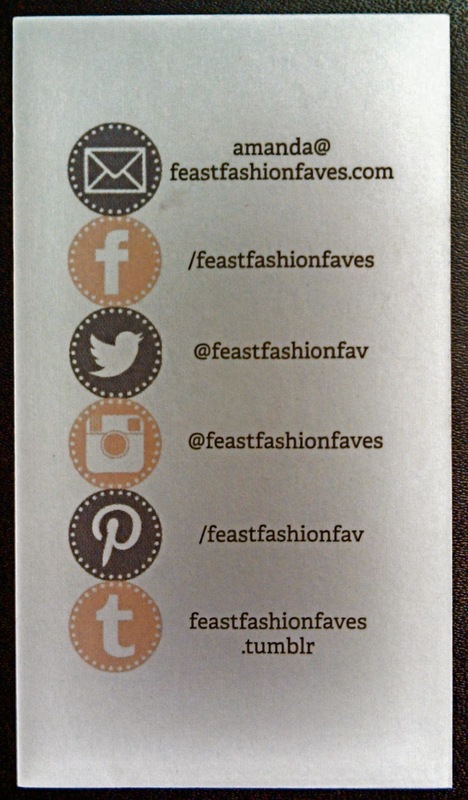 Amanda's card not only has her email address on it, but it shows you how to reach her on Facebook, follow her on Twitter, look at her photos on Instagram, see what she likes on Pinterest, and check in with her on Tumblr. Amanda's card is perfect for this digital age we are living in. After all, if you are online, people shouldn't have to search for you. Now, I'm on Google+, I'm on Blogspot, I'm on Twitter, etc... but none of those things are on my business card. The only digital information I have on my business card, I am sorry to say, is my website. I quickly realized I'm in dire need of a business card makeover. I like my card, but with just my website, it is definitely not ready for prime-time! I have always liked my business cards. My business cards feature a penguin logo that fits in with a black and white concept for my business, colors that are always elegant together. And penguins always look like they are dressed for a special occasion. Can you think of another animal that dresses in a tuxedo 24/7? Suffice it to say, I have made a New Year's resolution to update my business cards to reflect the Digital era we live in. After all, if my husband's grandmother's calling cards were out of date for me in the late 1980s, my business cards are just as outdated for me to be using in 2014. Doing business in a flat world means you will be doing business with people from other countries. Whether you are traveling to a meeting in another country, or the people from another country are coming to meet with you in the U.S., etiquette is etiquette. It is important to show that you know the proper way things are done in their country. As it happens everywhere, the meeting usually begins with the passing of the business cards. I said usually, but we’ll get to that. First, the general rules of playing international business cards. In most countries, with the exceptions being North America and Western Europe, the exchange of business cards is a ceremony of great importance. Let’s begin with some general tips. Traditionally, black ink is used on white card stock. The typeface, usually serif, should be legible and professional-looking. The international standard for card size is 85.60 x 53.98 mm (3.370 x 2.125 inches). Business cards are an internationally recognized means of remembering who was at the meeting. Make sure you have enough clean cards and that they contain the most up-to-date contact information. When you are presented with a business card from anyone, make a point of looking at it and asking any questions you might have about the information printed on it. Do not just slip it into your pocket. Business cards are generally exchanged at the beginning of the first meeting and not at any followup meeting unless new people are in the room, and then only they exchange business cards. Do not carry your cards loose in your pockets or allow them to become bent or dirty. Invest in a small, discreet card case. Never write on your card or on any card you receive unless directed to do so. In North America and most of Europe, it is acceptable to have a simple statement or selling point about your business or service. However, it’s not such a good idea when presenting the card outside those geographical regions. A few words about words. It is good etiquette for any meeting with businesspeople from another country to also print your contact information in their language on the back of the card. It is also good business etiquette to present the card so the recipient’s language is face up and facing them so they can read it as you hand it to them. Hire a professional translator or agency and make sure your title indicates your position in the company hierarchy. Also make sure the correct dialect is used, and that any cultural nuances are observed. For instance, foreign translations of business cards for use in China are often printed with gold ink, which is considered auspicious. Invest in quality cards using a better card stock than you would normally choose. Treat the business card you receive with great respect. Make sure your business card includes your title since the Japanese place emphasis on status and hierarchy. Business cards are always received with the right language facing the receiver using two hands holding the card by the corners. When receiving a card, bow out of respect and read the card as if to memorize the name and title so you can match it to the person later. If you are presenting cards to more than one person start with the highest ranking individual and move down according to the protocol of rank. Never present a business card during a meal. When the meeting is over, put the business cards in a card case or a portfolio, not in your pocket. Have one side of your business card translated into Cantonese or Mandarin and printed in gold ink. If your company is the oldest or largest in your country, that fact should be highlighted on your card. Same basic presentation rules listed above for Japan also apply to China. Hold the card in both hands when offering it and bow, and carefully read the card when you are on the receiving end. Present your card before you ask for one from the recipient. Never write on someone else’s card unless so directed, since it is considered a sign of disrespect. If you have a university degree or any honor, put it on your business card. Always use your right hand to give and receive business cards. Note: This practice should be followed with businesspeople from any Islamic country as well as from many parts of Africa. In India, business cards are exchanged even in non-business situations, generally after the initial handshake and greeting. Always present the card in a way that the recipient may read the text as the card is being handed to them. When you receive a business card from a Korean, simply nod your head as a gesture of respect and thank the person for the opportunity to meet with them. No need to bow. Unlike in other Asian countries, it is appropriate to put the card away immediately in a simple card holder. Looking at the card too long is regarded as ignorant and impolite. It is preferred that you present your card to a person before asking for their card. Again, present your card with both hands, Korean text side up, text facing toward the recipient, and give a gentle nod of the head. The nodding of the head is especially important when meeting with individuals senior to you. Language, again, is important. When you conduct business with a Brazilian, have business cards printed one side in English and the other in Portuguese. Distribute these to everyone present when they arrive, making sure the Portuguese text is facing up. If you arrive first, present your cards right away. In Iran, only senior-level individuals exchange business cards. In other Arabic nations, like Kuwait and Saudi Arabia, cards are given to everyone you meet. In Hungary, on the translated side, your surname should precede your given name. In Spain and Turkey, the business card should be presented to the receptionist upon arrival. As you can tell, every country has its own way of conducting business and its own business card etiquette. Make sure, aside from learning the above rules, that you talk with someone who does business with the country you want to learn more about. Use the library or go online. Contact the Department of State or the country’s embassy. What you do — or do not do — will set the tone for your entire meeting. 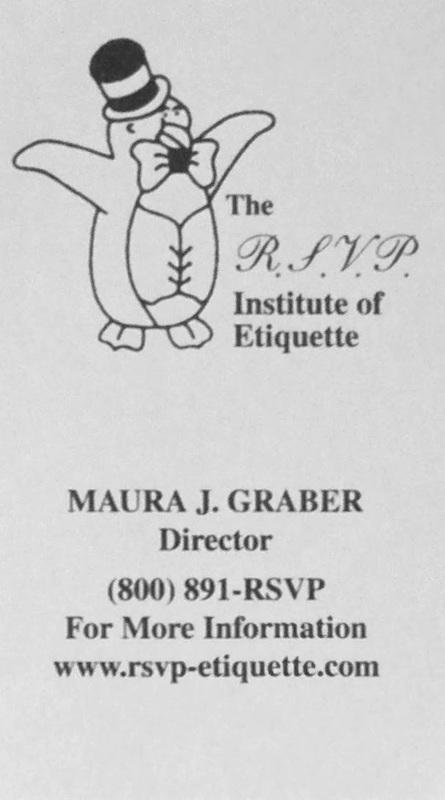 From http://www.pingo.com/blog/index.php/global-business-card-etiquette/By David Grebow, a freelance business journalist who writes for Vistaprint, a global leader in marketing products and services for small businesses. David is a writer, editor, and author of many books, including “A Compass for the Knowledge Economy.” He holds an MBA from Harvard, and his work has been published in Harvard Business Review and The Economist. Amanda appears to be going places. What a business card! Not to sound redundant, but great post as usual! Very useful etiquette for Calling Card. Thanks for sharing Business Cards Etiquettes. This information proves very useful for us while making set-up templates of custom square business cards for our valuable customers. Keep sharing stuff like this.